The Decline of the Mustache? I came across The Decline of the Mustache while trying to find some mustaches for you ungrateful faithful readers. 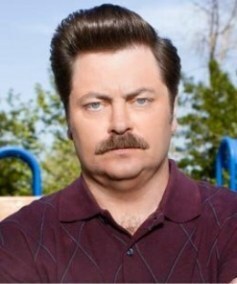 It had a picture of Ron Swanson so I immediately was drawn to it. This entry was posted in Ron Swanson Steesh, Uncategorized on February 10, 2012 by Los Bulls.